3800501 624H John Deere 624H. Wheel Loader. Spare Parts Catalog. Service (workshop) Manual. Operator's Instruction Manual. 3800502 TC62H John Deere TC62H. 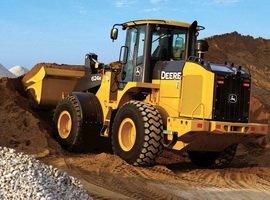 Wheel Loader. Spare Parts Catalog. Service (workshop) Manual. Operator's Instruction Manual.